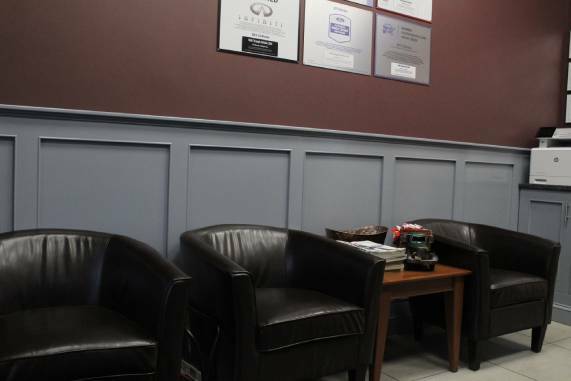 821 Collision is home to a 3,000 square foot state-of-the-art shop offering the latest in automotive technology and tools to ensure your vehicle is repaired back to its original, pre-accident condition. Our CCC One estimating software allow 821 Collision to provide you with an estimate easily, quickly and more accurate than ever. 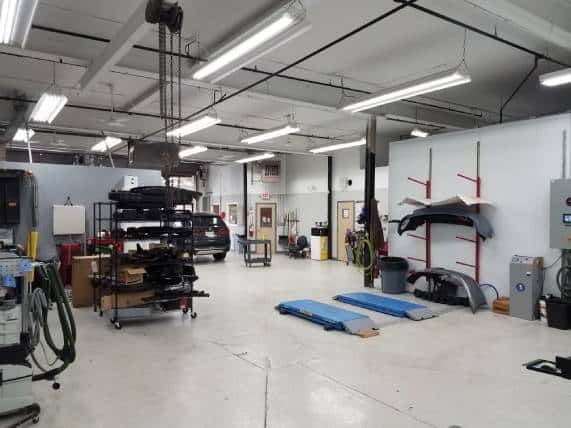 6 repair bays, fully equipped with workstations, allow us the ability to service all makes and models safely and seamlessly without workflow interruption. If your vehicle needs automotive paint and refinishing – we’ve got you covered. 821 Collision uses top-notch color paint matching with Axalta’s color formula retrieval system, ColorNet® and the application of Standox waterbourne environmentally friendly automotive paint and refinishing products. Our production equipment allows us to provide unparalleled collision repair service and features; Car-O-liner Bench rack frame machines, Atlas lifts, ProSpot welding equipment, Car-O-liner Vision X3 computerized measuring system and Robinair AC recovery units. It’s no wonder the residents throughout Bergen and Passaic counties turn to 821 Collision for all of their automotive repair needs.